Hands of Hope exists to intervene and prevent domestic and sexual violence and stalking through education, advocacy, and comprehensive strategies. Domestic violence is an issue that not only affects men and women, but their families and our community. 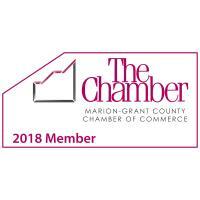 The program operates a 24 hour helpline, the Flannery Keal Home for those seeking safe shelter, and prevention education to all school systems in Grant and Wabash counties. Domestic violence is more common than most realize. In the US, an average of 20 people experience intimate partner physical violence every minute, equating to more than 10 million abuse victims annually. 19.3 million Women and 5.1 million men in the US have been stalked. Between 21-60% of victims of intimate partner violence lose their jobs due to reasons stemming from the abuse. Domestic violence that might start with verbal or emotional abuse can quickly turn into sexual or physical abuse that has often resulted in death. With stats like these, we feel even more assured in the work to encourage, empower and educate children, adults and families to change their lives for good. Domestic violence often requires someone to leave their home. Housing is the most requested need – 58.8% of all needs. Of those housing needs, homeless shelters and domestic violence shelters are the most requested service. That’s where Hands of Hope comes in. Through the work of Hands of Hope, 8,047 students were reached with Domestic Violence prevention teachings, 90% of youth report understanding healthy relationships, 2,627 people had safe bed nights, and 188 men, women and children received services at Flannery-Keal Home. If you would like to get involved and help, Hands of Hope needs support of the Flannery Keal Home, a safe shelter for those fleeing domestic violence. Items like cleaning supplies, paper products, deodorant, shampoo, conditioner, new kitchenware and non-perishable food are always needed and can be delivered to Family Service Society, Inc. at 101 S Washington St., Marion, IN. We are grateful for the community support that allows us to continue to intervene and prevent domestic violence and stalking through education, advocacy, and comprehensive strategies. For additional information about services or donation of items please call 765-664-0701 or email Linda Wilk, Hands of Hope Director at lwilk@famservices.com.